In IEEE Proceedings of the 4th International Symposium on Communications, Control and Signal Processing (ISCCSP'10), Limassol, Cyprus, May 3-5, 2010. 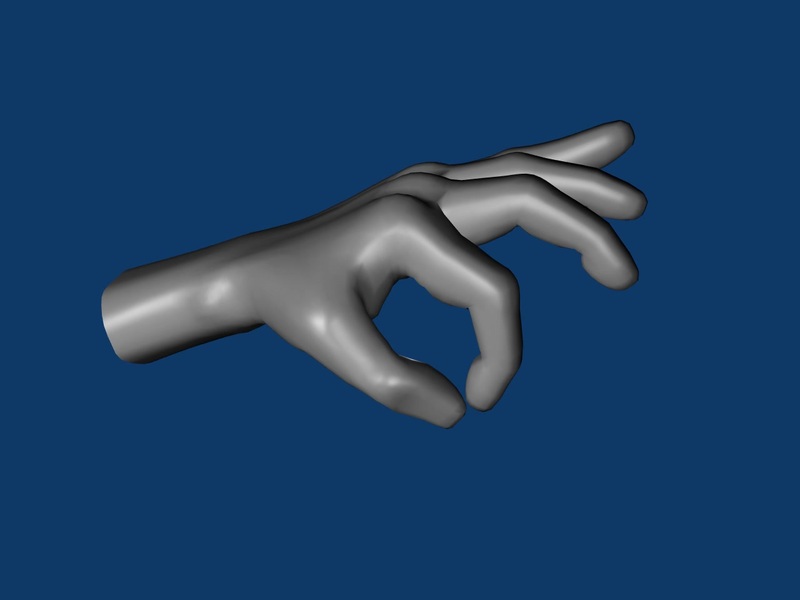 Articulated hand tracking systems have been commonly used in virtual reality applications, including systems with human-computer interaction or interaction with game consoles; hand pose estimation has various other applications comprising sign language recognition and animation synthesis. The advanced technological achievements in motion capture over the last decade allow data acquisition with high accuracy and low cost. However, due to the high complexity of the human hand, it is still challenging to animate a hand model able to deal in details with the anatomical and physiological constraints of the hand. In this paper, we present a simple and efficient methodology for tracking and reconstructing 3D hand poses. Using an optical motion capture system, where markers are positioned at strategic points, we manage to acquire the movement of the hand and establish its orientation using a minimum number of markers. An Inverse Kinematics solverwas then employed to control the postures of the hand, subject to physiological constraints that restrict the allowed movements to a feasible and natural set. The proposed methodology produces smooth and biomechanically correct movements, while the required processing time remains low, enabling an effective real-time hand motion tracking and reconstruction system. A simple framework that uses a reduced set of markers and Inverse Kinematics (IK) to track and reconstruct the full hand and fingers articulation; the hand data can be automatically spliced to full-body acquisition to obtain holistic performance capturing. Physiological constraints to ensure production of anatomically natural movements that are within a feasible set; in addition, they are used as inferred information to the marker prediction framework, recovering the occluded marker positions to maintain a continuous data-flow. This work has received funding from the Office of Naval Research (ONR) Global (N62909-13-1-V090).